One of the best things about a Brooklyn Botanic Garden wedding is the light. Many city weddings come with a degree of difficulty, seeing as how most ceremonies are indoors. Many receptions are in dark indoor spaces, and many getting ready rooms can be dark and crowded. Since you can have most of your day outdoors at a Brooklyn Botanic Garden wedding, the light is usually in abundance! I made this lovely shot of the bride’s simple, stunning engagement ring using existing light during their Brooklyn Botanic Garden wedding. The bride had a simple, timeless style. I love how her engagement ring, wedding band, and the groom’s wedding band reflect that elegant aesthetic. I wanted to create an environmental portrait of these small wedding day details that would be in line with their simple, clean style. I placed the rings in the light of a window in the Palm House, centering them just so that the light caught the solitaire and illuminated it beautifully. If you read wedding blogs, they’ll lead you to believe that weddings are only "real weddings" if they have lots and lots of detail shots. Brides in vintage cars, mailboxes and mason jars on tables in the woods, and so forth. While I absolutely adore details at weddings and believe firmly that they can truly advance the aesthetic of the day in magical ways, the details do not make the marriage. That said, I do believe in a carefully curated selection of environmental portraits of your wedding day details. 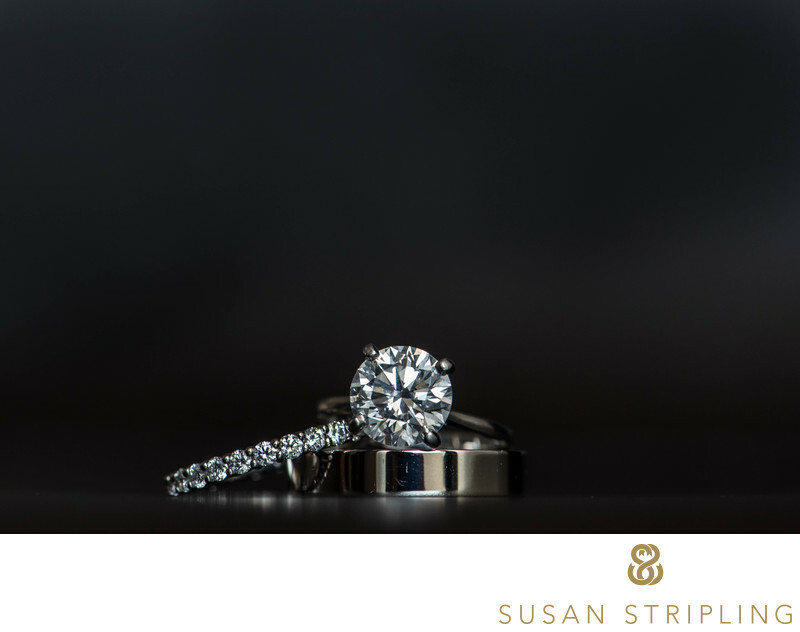 From your engagement ring to your wife’s wedding band, your husband’s cufflinks to your grandmother’s vintage handkerchief, I strive to make images of these details that are relevant to the look and feel of your day. If your day is simple and sleek, your detail images will be simple and sleek. If your day is whimsical, the images of your details will follow suit. I spent a small amount of time at the start of this Brooklyn Botanic Garden wedding on the details. I photographed the bride’s ring and the wedding bands first. Next, I photographed the bride’s delicate white Monique Lhuillier "Candy" dress. From there, I took a few images of her shoes and jewelry. After that, it was time to dress the bride and head to her first look on the lawn of the Brooklyn Botanic Garden. I always love photographing Brooklyn Botanic Garden weddings, because you have so many amazing locations to choose from! The staff is always supremely helpful in transporting the bride and groom around the enormous property for pictures. I can’t recommend this venue enough. If you’re a couple getting married and are looking for an amazing venue, please check out the Brooklyn Botanic Garden. 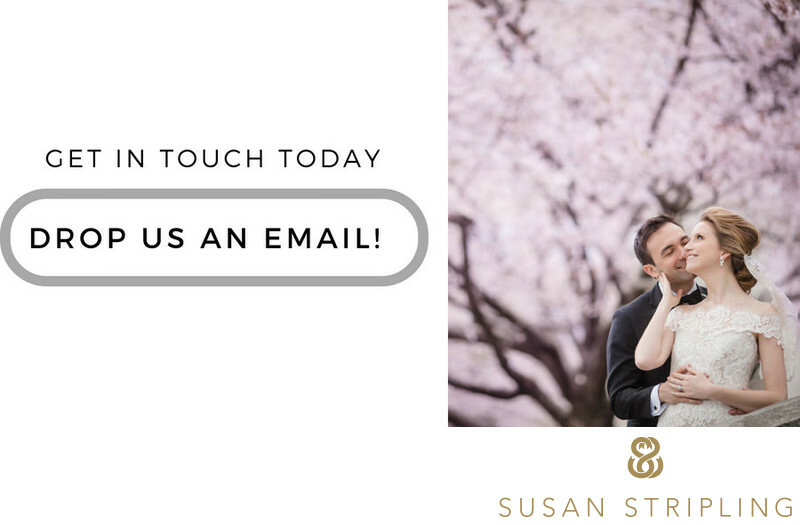 Whether you’re having an outdoor ceremony under the cherry blossoms, or a fall reception in the Palm House, you’ll have a lot of locations to choose from for the rest of the day! I love shooting Brooklyn Botanic Garden weddings, and look forward to many more in the future! 1/160; f/13.0; ISO 2000; 105.0 mm.